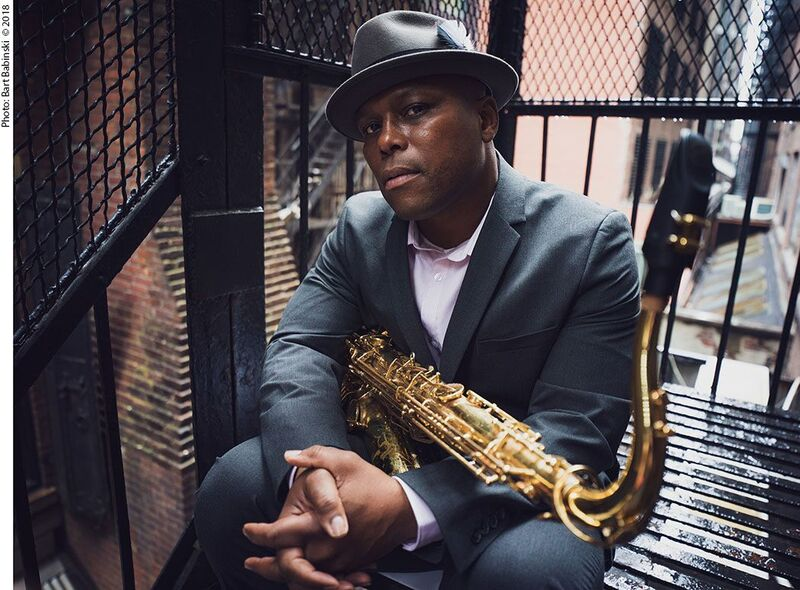 The result of a patient and painstaking confrontation with the fundamentals of his chosen art form, JD Allen’s unique and compelling voice on the tenor saxophone has earned him a well–earned place among the elite of the contemporary jazz world. The Detroit native served much of his musical apprenticeship in New York, from his lengthy tenure with Betty Carter to associations with Lester Bowie, Ron Carter, the Frank Foster Big Band, and Butch Morris, among others. His 1999 debut CD In Search Of…drew critical plaudits; Pharoah’s Children (Criss Cross, 2002) was a “Critics’ Picks” Top 10 Albums of the Year in Jazziz Magazine. Thirteen critically acclaimed albums and top critic poll slots later, in 2018, JD Allen embraced the jazz ballad form with a superb Savant release, Love Stone, including his rapturous renditions of such classics as “Stranger In Paradise” and “Until the Real Thing Comes Along.” His next album, BARRACOON, will be released on the High Note/Savant Label in June 2019 and features his trio mates, Ian Kenselaar on bass and Nic Cacioppo on drums.